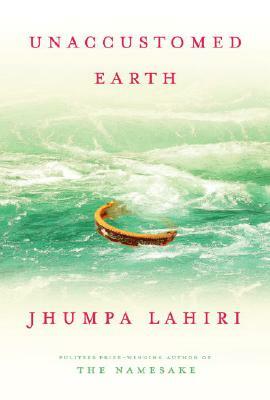 Unaccustomed Earth is rich with Jhumpa Lahiri’s signature gifts: exquisite prose, emotional wisdom, and subtle renderings of the most intricate workings of the heart and mind. It is a masterful, dazzling work of a writer at the peak of her powers. Jhumpa Lahiri was born in London and raised in Rhode Island. She is the recipient of a Guggenheim Fellowship and the author of two previous books. Her debut collection of stories, "Interpreter of Maladies, " was awarded the Pulitzer Prize, the PEN/Hemingway Award, and "The""New Yorker" Debut of the Year. Her novel "The Namesake" was a "New York Times "Notable Book, a Los Angeles Times""Book Prize finalist, and was selected as one of the best books of the year by "USA Today" and "Entertainment Weekly, " among other publications. She lives in Brooklyn, New York. “Splendid . . . The fact that America is still a place where the rest of the world comes to reinvent itself–accepting with excitement and anxiety the necessity of leaving behind the constrictions and comforts of distant customs–is the underlying theme of Jhumpa Lahiri’s sensitive new collection of stories, Unaccustomed Earth. . . . .
Lahiri’s epigraph . . . from ‘The Custom-House,’ by Nathaniel Hawthorne, [is] an apt, rich metaphor for the transformations Lahiri oversees in these pages, in which two generations of Bengali immigrants to America–the newcomers and their hyphenated children–struggle to build normal, secure lives. . . . . Except for their names, ‘Hema and Kaushik’ [the title characters of the final trilogy of stories] could evoke any American’s ’70s childhood, any American’s bittersweet acceptance of the compromises of adulthood. The generational conflicts Lahiri depicts cut across national lines; the waves of admiration, competition and criticism that flow between their two families could occur between Smiths and Taylors in any suburban town; and the fight for connection and control between Hema and Kaushik–as children and as adults–replays the tussle that has gone on ever since men and women lived in caves.